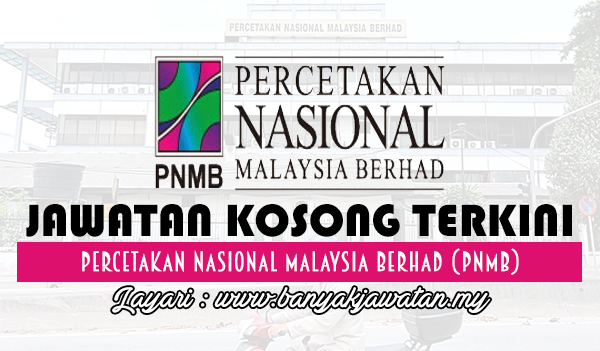 Many changes have taken place since Percetakan Nasional Malaysia Berhad’s (PNMB) beginnings in 1888. It was incorporated in 1993, becoming wholly owned by the Ministry of Finance. Nevertheless, throughout the changes our principle remains; to deliver the best as we move forward. We understand our customers’ needs and serve them by combining our myriad of printing services in the areas of general printing, variable data printing, security printing and digital imaging with our in-house design services. These are all under one roof at a facility of 83,000 sq ft. in Kuala Lumpur. With a network of branches nationwide, we aim to assist our customers in meeting their printing needs. 0 Response to "Jawatan Kosong di Percetakan Nasional Malaysia Berhad (PNMB) - 31 December 2017"